Last week's edition of my Three Things Series was about insecurities. 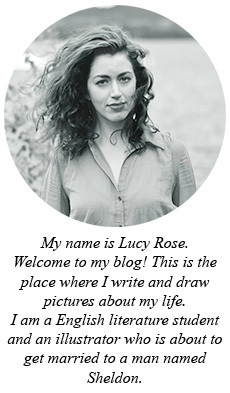 What a downer, Lucy Rose. Let's pick up the pep here, Lucy Rose. So this week I thought I would just share some of the breakfast foods that I have been enjoying lately. I am not a foodie. I like food, but I do not devote much thought or planning to it. I find a thing I like and keep making it until I stop liking it. This week I share three extremely simple recipes which miraculously include three celebrity foods (see if you can spot them!). I say miraculous because I am never a person who is particularly up on trends. No, I still don't really know why chia seeds are so trendy right now. All I know is that when they get wet they become slimy and gooey, which is super cool. 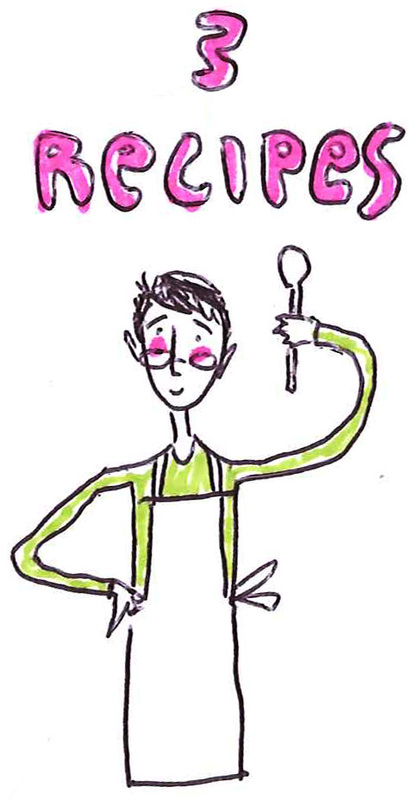 I am a big fan of sticky, gloopy foods. Sheldon is not. 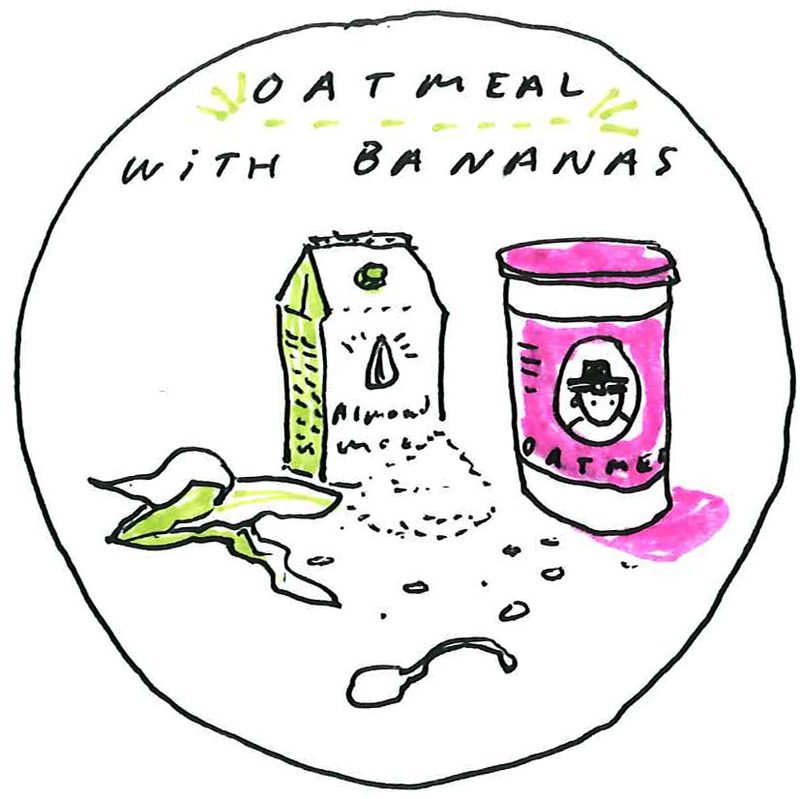 Apparently overnight oats are also a huge fad. Look at me, following the current events! 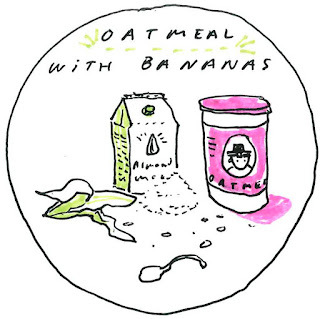 Put one and a half cup of dry oatmeal into a bowl. Add about the same amount of milk. Any milk will do, but preferably almond milk, because my data shows that it is at peak trendiness right now. Cut up as much banana as you would like and put it in. I usually opt for three quarters of a banana. Add a tablespoon of chia seeds. Stir. Set in fridge. Wait many hours. This recipe is not a major breakthrough. Ok, none of these recipes are major breakthroughs. Like I said I am no foodie. Anyway. I like to drink this when I suspect I am getting coldy. 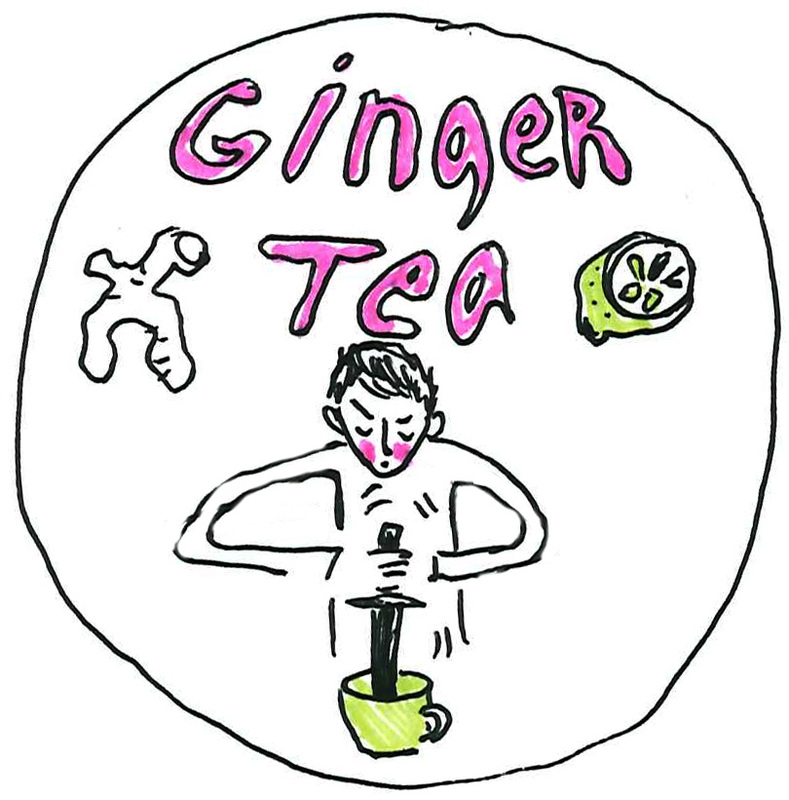 Take some slivers of raw ginger root and put them in the bottom of your tea cup. Use some sort of kitchen implement to smash the root around as though you are a Native American pounding out maize into flour. I do not have a mortar and pestle, which would be ideal, so I use the tamper-thingy that came with my blender. This may take some improvisation on your part if you too do not own a mortar and pestle or a tamper-thingy. 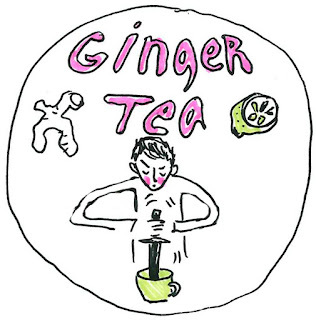 Once the ginger root is crushed and its juices have been released add hot water and honey. Now you have a bunch of ginger bits floating around. Tough beans, Folks. Just Drink around them if you are like me and too lazy to use various straining methods. I have been favouring sweet, smooth smoothie flavours of late, as opposed to tangy, citrusy ones. 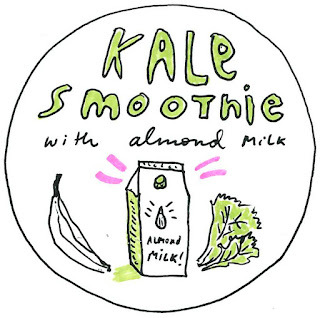 I like to put in a big wad of kale, about a cup of almond milk and a banana. If the banana is not frozen then I add about four cubes of ice to the mix. Blend until it is as smooth as your blender can blend. I realise that this recipe also includes two food trendy items. 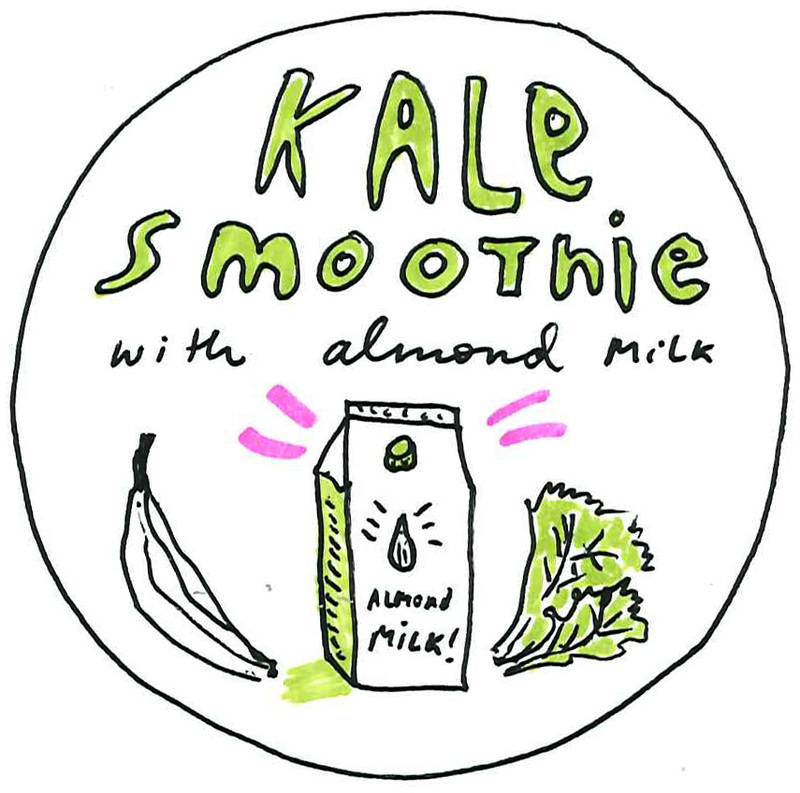 Now you too can brag to all your friends about drinking kale smoothies -- the stuff of the fitness gods. For your further reading enjoyment here is another time I shared recipes. Here is where I talked about poaching eggs in the microwave. 😂 You are fantastic. Thanks for the breakfast ideas. Now I really need to get a blender, so I can be trendy too.